Go Mog Yourself is a weblog dedicated to highlighting fashionable – and not so fashionable – outfits in the World of Wacraft. 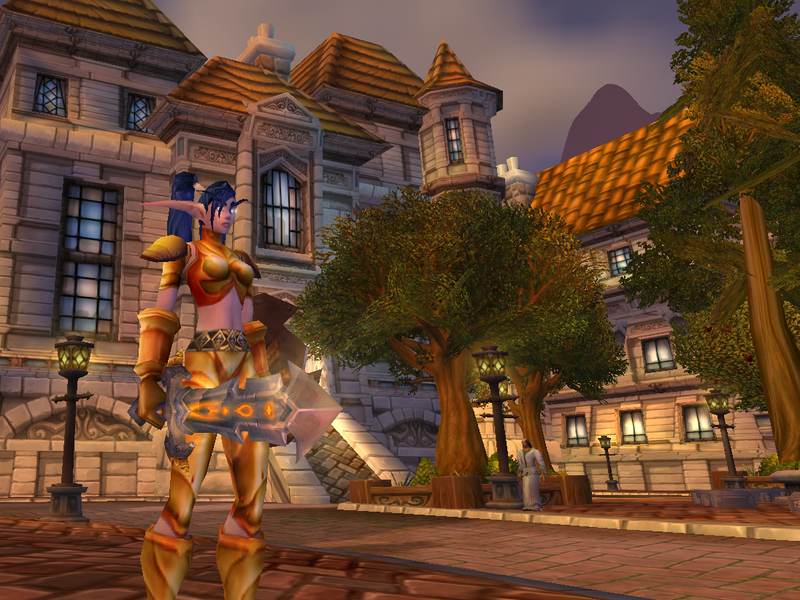 Using transmogrification, or mogging, players can modify the look of their character’s gear to resemble that of any other equipment they own. Transmogrification fashion can be very transient – you may find a look that suits you one day, only to pass it over in favor of another as you level. GMY is a place where we hope to capture those looks. The site’s title is a homage to the great and snarky Go Fug Yourself fashion weblog, source of many hours of red carpet-inspired laughs and /facepalms. Go Mog Yourself is currently seeking Warcraft fashionistas who might like to contribute their own mogging adventures. If you’re a blogger who would like to do a few posts, or a player with an outfit you’d like us to take a look at, please drop Cynwise a line if you’re interested! Nooooooooooo! What happened to the original banner? With the adorable light pink cursive? And the picture of the Night Elf? The site still looks awesome of course, but the old banner is what immediately caught my eye. I really liked that theme, too, but it lacked display support for multiple authors on either the front page or the articles. You couldn’t tell who wrote what, which, given the interest shown in writing for this site, didn’t seem fair. The new theme is close in design, but I agree – it’s not quite as fun. I’ll see if I can recapture some of that whimsy of the original theme while doing justice for the various authors, though. I liked it too.